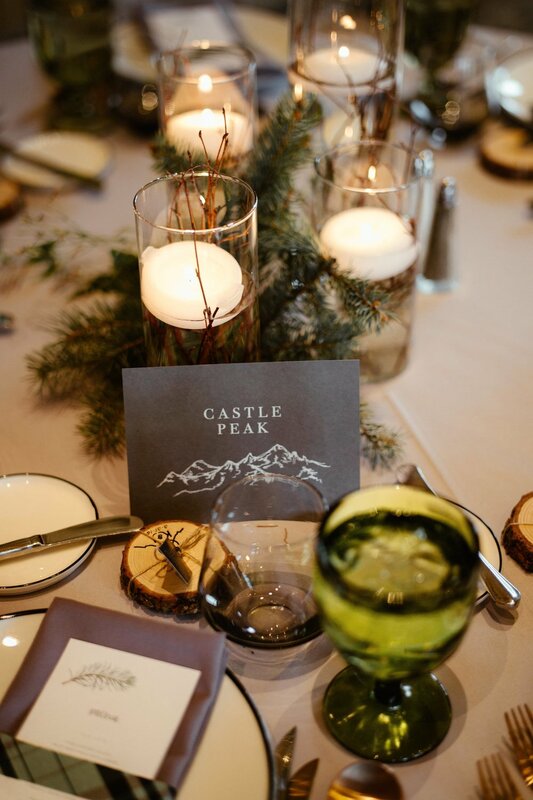 though we technically have another month of fall, we’re all about winter weddings these days! 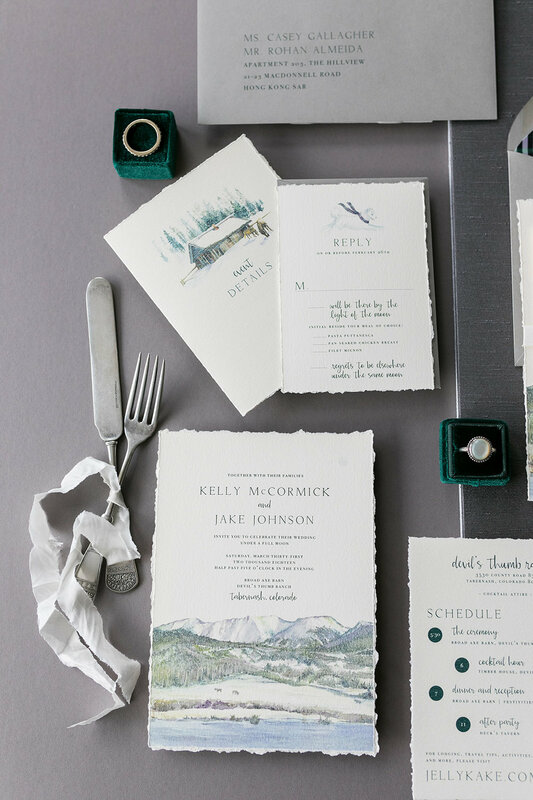 from the gorgeous snow capped mountains to the wintery white florals, we can’t get enough! one of our favorites from last year was kelly + jake’s wedding at devil’s thumb ranch in tabernash! these two were an absolute joy to work with + though their wedding day was chilly, all of their images are warming our hearts! their invitation suite was one of our favorites. kelly’s mom is an incredible artist + she painted the watercolor images included on their invitations. from the view for their ceremony to their adorable pup, these touches made each piece of stationery special. the envelope liner pattern was inspired by the plaid skirts worn by the bridesmaids - what a special way to incorporate this small detail. finally, we are obsessed with the total eclipse stamps they chose for their envelopes. these stamps are made with thermochromic ink which reacts to heat. we have been eager to use these stamps + couldn’t be more excited when k+j agreed. now it’s time to light that fireplace, grab a cup of cocoa + get scrolling! congratulations kelly + jake! we wish you two the very best!